According to Gazelle CEO Chris Sullivan, one third of Android users said they plan on trading up to Apple's new iPhones, with almost half of those users saying the larger screen influenced their decision. Following the iPhone 6 and iPhone 6 Plus announcement, Tim Cook confidently said he suspected Android users would make the switch to iOS when its new phones were available, and it appears Gazelle's data is backing his statement up. A large contingent of iOS users complained about the smaller form factor of the iPhone 5 and iPhone 5s, which is why they made the switch over to the Android ecosystem, which features devices in the 5-inch range and above. I personally know a few people who complained about the iPhone's size before making the switch to Android, but now that Apple offers two larger sizes, those same users are seemingly feeling a bit desirous. When pre-orders went live last Friday, ship dates were immediately pushed back from Sept. 19 to three to four weeks, or even longer. Over four million pre-orders were placed in the first 24 hours, becoming the most sought after Apple product to date. Android has dominated the mobile market over the past few years, offering far more options compared to Apple. The iPhone maker, meanwhile, offered three different phones with the same size screen, so it was only a matter of time before Apple made the decision to go bigger. 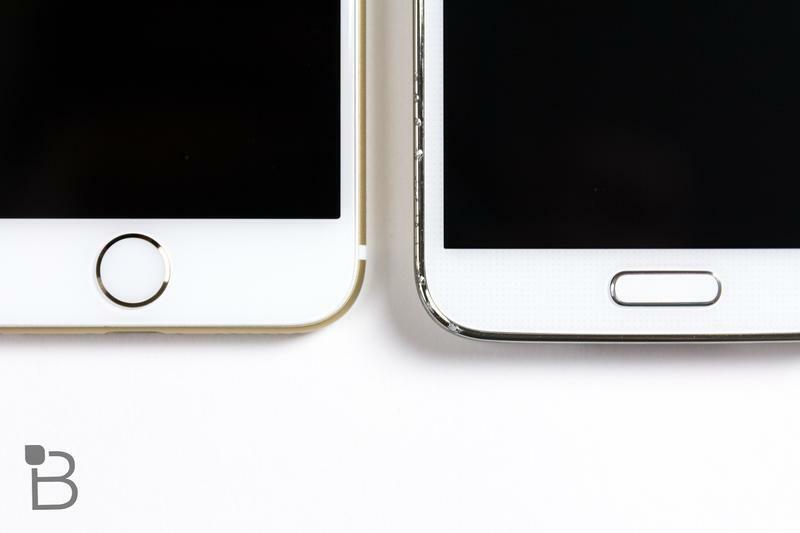 Now the company has two models to choose from, the 4.7-inch iPhone 6, and 5.5-inch iPhone 6 Plus. That was apparently enough to convince one-third of Android users to switch, though Gazelle said no precise data was on-hand when TechnoBuffalo reached out. RBC Capital Markets, meanwhile, found that nearly 30-percent of respondents who intended on purchasing the iPhone were new to Apple's ecosystem—a large portion of which were previous Android users. The iPhone 6 and iPhone 6 Plus came out today to incredible consumer reception; some of the TechnoBuffalo crew camped out to ensure the company would have units on-hand for filming, and we can confirm units were definitely low, while demand was enormous. How many of those waiting in line were former Android users is unclear. But if one of the largest trade-in sites is seeing a high volume of Android users trade-in their devices with the intention of going with Apple, chances are there were more than a few former Android fans in those lines.